Have you been wanting a picnic cooler for your camping trips, parties, and special functions, but have been scared off by their expensive price? With Kegco's Jockey Box Conversion Kit, you can build your own at a fraction of the cost! 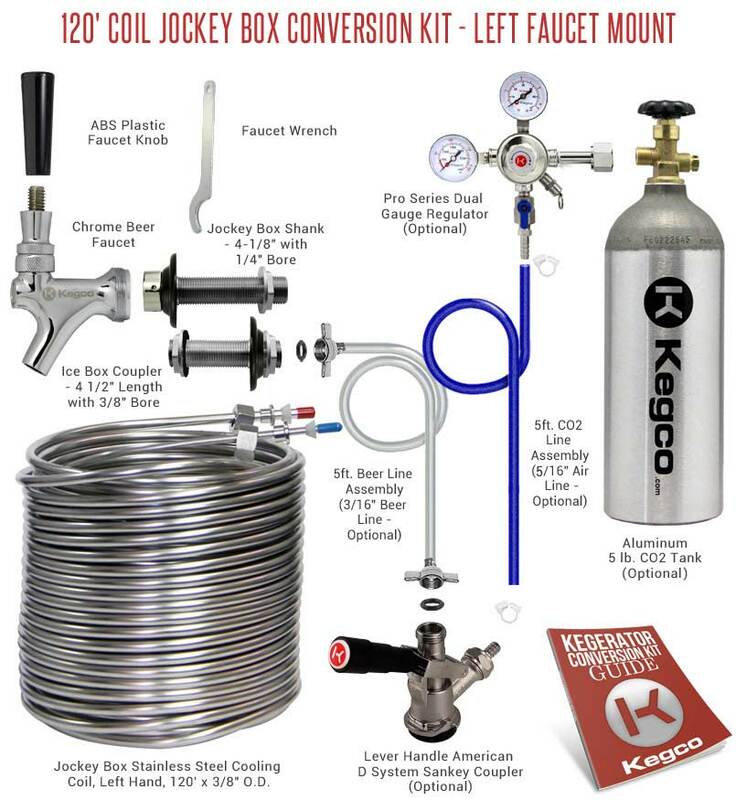 Kegco has designed this kit with all of the high quality draft beer components you'll need to convert a 48 quart or larger Igloo or Coleman cooler into an impressive Jockey Box Cooler - you just provide a cooler large enough for the 120' stainless steel coil, as well as a screwdriver, drill, and crescent wrench. You will need to drill two holes in the cooler: one in the front to mount the shank and faucet, and one in the back for the ice box coupler assembly. The icebox coupler assembly will connect directly to the keg through a jumper line assembly.